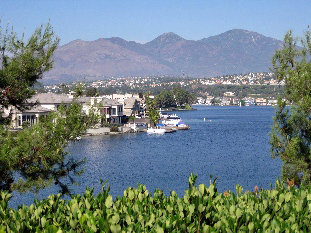 If you’re looking for one of the ideal places to live in Orange County, you don’t need to search any further than one of the Lake Mission Viejo communities. One major reason is the proximity to the lake itself. 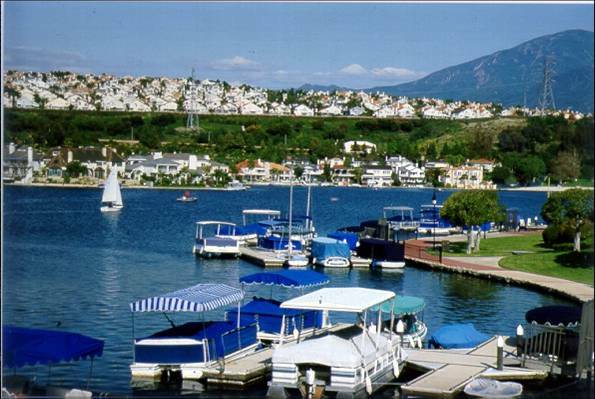 Living in this idyllic area means you’re only a walk away from the full range of fun activities the Lake offers. This includes swimming, boating, fishing, picnicking, and just plain splashing up a great time. Two well-maintained beaches add to the allure of the lake. North Beach features a large stretch of sandy splendor, volleyball courts, and a clubhouse perfect for renting out for special events. East Beach is smaller but just as inviting. Along with all the other great activities, it offers bold adventurers kayaks as well as pedal boats for rent. There also are a number of smaller private beaches for those seeking a bit of blissful seclusion. Remember, access to the lake is restricted to residents or their guests. Another great reason for hanging your hat here. The lake communities offer almost as much as the lake itself. Spectacular views of both the lake and surrounding mountains, a safe living environment, and proximity to an array of fine restaurants and stores make this resort-like vicinity irresistible. Among the popular lakeside communities are Mallorca, Finisterra, San Marino, Tres Vistas, and Madrid Del Lago , each with a charm and character all it’s own. If you’d like to learn more about living in high style in one of the Lake Mission Viejo communities, I’m ready to help. You can reach me at 949.338.7408 or angie@askangie.com. And be sure to follow me @AngieWeeks or @WeeksTeam. Looking forward to hearing from you soon!